The Bodensee: History across borders? Without a shared history common to everybody within the region, it is difficult for a region to construct a sense of having its own unique identity since shared histories are important building blocks for a regional identity regardless of the national borders. For some years, the shared cultural and historical roots of the Bodensee region have been evoked more and more often to emphasize commonness within the border region. Unquestionably, there are a number of shared historical events that the region as such can look upon, for example the Bishopric of Constance. However, the fact whether school children growing up in the region are also acquainted nowadays with the knowledge of such historical places of relevance provides an indication to a common cultural memory of the Bodensee region. 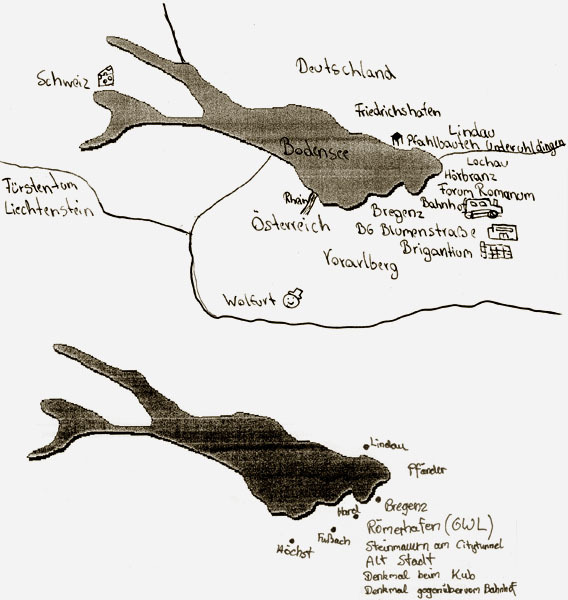 Mental maps from school children between the ages of 8 and 16 from the countries bordering the Bodensee show which sites of remembrance they are acquainted with and which appear important to them. The results turned out to be rather varied, which could be attributed to the prior knowledge of the respondents. The curriculum does not require the teaching of the cultural heritage of the Bodensee region. The school children are a bit more familiar with their direct surroundings due to school fieldtrips or family trips than to the more distant historic sites, though almost all of them, regardless of which shore they live on, recalled the Pfahlbauten (prehistoric lake dwellings) in Unteruhldingen, the Council of Constance from 1414 to 1418 and Friedrichshafen for the Zeppelin airship company. Bregenz was marked by school children from all three countries as a place of historical importance, but only those from Bregenz mentioned the historical context–the Roman history of the city. Therefore there is no lack of common sites of remembrance. 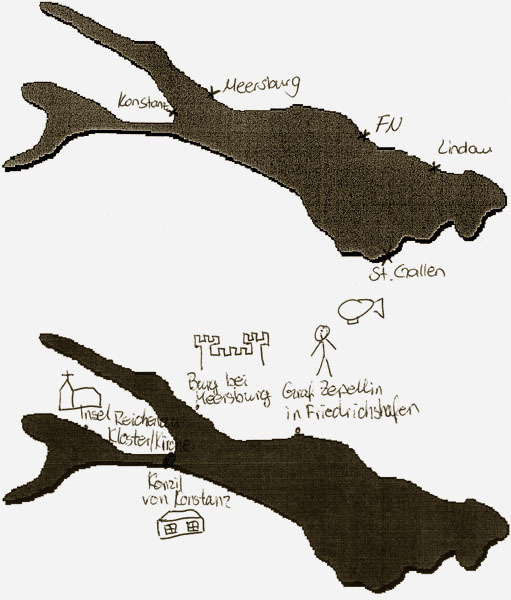 Nevertheless, the images that the children have of the area are formed very differently and do not contribute to a strong senses of having their own regional Bodensee identity.